MPs debated the second reading of the Mental Capacity (Amendment) Bill in the House of Commons on Tuesday 18 December 2018. I wrote an analysis of the Amendment Bill back in October, outlining some serious concerns about the lack of safeguarding under the government’s proposals – Government changes to Mental Capacity Act threatens human rights of vulnerable citizens. Over the last eighteen months, the Law Commission – a statutory independent body created by the Law Commissions Act 1965 to keep the law of England and Wales under review and to recommend reform where it is needed – has been reviewing the framework that is called Deprivation of Liberty Safeguards (DoLs) which is put in place when a person who lacks capacity is placed in a care home. Deprivation of Liberty, which is defined in part of the Mental Capacity Act 2005, is there to ensure that there are checks and balances for the person placed in care, that decisions are made in their best interest and that an independent advocate can be appointed to speak on their behalf in these decision making processes. Extending protections to all care settings, such as supported living and domestic settings, therefore removing the need for costly and impractical applications to the Court of Protection. Cutting unnecessary duplication by taking into account previous assessments, enabling authorisations to cover more than one setting and allowing renewals for those with long-term conditions. Extending who is responsible for giving authorisations from councils to the NHS if in a hospital or NHS healthcare setting. A simplified version of the best interests assessment, which emphasises that, in all cases, arrangements must be necessary and proportionate before they can be authorised. However, the Law Commission recognised that many people who need to be deprived of their liberty at home benefit from the loving support that close family can provide. These reforms, which aimed to widen protections to include care or treatment in the home, were designed to ensure that safeguards can be provided in a simple and unobtrusive manner, which minimises distress for family carers. Importantly, the Commission also recommended a wider set of reforms which would improve decision making across the Mental Capacity Act. This is not just in relation to people deprived of liberty. All decision makers would be required to place greater weight on the person’s wishes and feelings when making decisions under the Act. 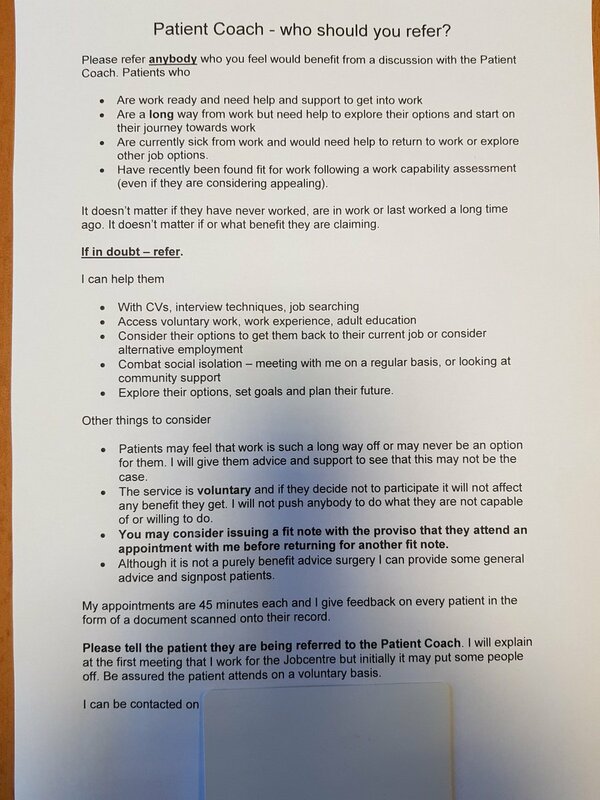 Care professionals would also be expected to confirm in writing that they have complied with the requirements of the Mental Capacity Act when making important decisions – such as moving a person into a care home or providing (or withholding) serious medical treatment. The government responded and put forward proposals for changing the Mental Capacity Act. However, though this new legislation has been worded carefully, its effect will be to risk the removal of key human rights; it also ignores the entire concept of best interests and has put decision making power over people’s liberty and rights in the hands of organisations and their managers with a commercial interest in decisions and outcomes. Any statutory scheme which permits the state to deprive someone of their liberty for the purpose of providing care and treatment must be comprehensible, with robust safeguards to ensure that human rights are observed. 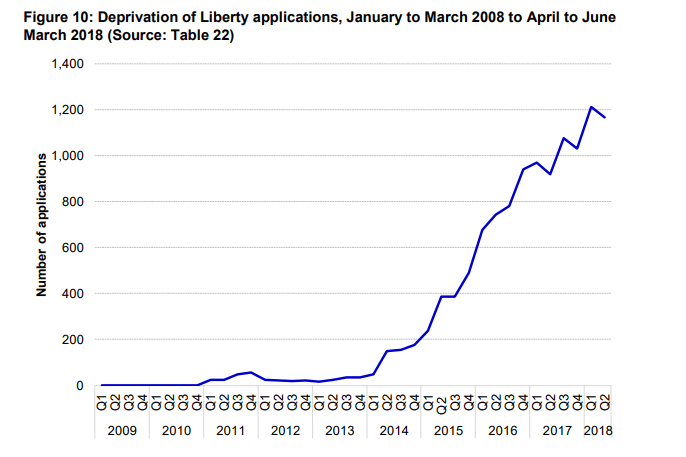 In July 2018, the government published the Mental Capacity (Amendment) Bill, which if passed into law, will reform the Deprivation of Liberty Safeguards (DoLS), and replace them with a scheme known as the Liberty Protection Safeguards (although the term is not used in the Bill itself). The Bill draws on the Law Commission’s proposals for reforming DoLS, but generally does not address some of the wider Mental Capacity Act reforms that the Law Commission suggested. Proposed reforms around supported decision making and best interests are not included, for example, and these omissions are very controversial. In a statement accompanying the proposals the government claims that £200m per year will be saved by local authorities under the new scheme, though the increased role of the NHS and independent sector providers will lead to increased costs elsewhere. The new responsibilities being imposed on care homes, Clinical Commissioning Groups (CCGs) and hospitals will need some thought, resources and training. Members of the House of Lords have already warned that the Bill to reform the law on deprivation of liberty does not adequately secure the rights of people subject to restrictive care arrangements. In Parliament’s first debate on the Mental Capacity (Amendment) Bill on 16 May this year, peers questioned several elements of the legislation. The Liberty Protection Safeguards are designed to provide a much less bureaucratic system than DoLS for authorising health and social care arrangements that involve a deprivation of liberty to which a person cannot consent. The proposed Bill has been widely criticised because it contains insufficient safeguards and is not fit for purpose in its current form. It requires serious reconsideration and extensive revision. the removal of the invaluable role of Best Interests Assessors and Relevant Person’s Representatives would leave vulnerable people without protection from unnecessary detention. You can read the Law Society’s full Briefing here: Parliamentary briefing: Mental Capacity (Amendment) Bill – House of Lords committee stage (PDF 196kb). I was pleased that the concerns I had raised in my original article were also voiced by MPs yesterday, though I remain very concerned that further safeguarding amendments to the Bill were unsuccessful. Transcripts of proceedings in the House of Commons Chamber are available in Hansard online. I don’t make any money from my work. I am disabled because of illness and often struggle to get by. If you want to, you can help by making a donation to help me continue to research and write informative, insightful and independent articles, and to provide support to others. Last month I wrote an article about the government’s under the radar proposed changes to the Mental Capacity Act, raising my concerns about how it threatens human rights – Government changes to Mental Capacity Act threatens human rights of vulnerable citizens. Deprivation of Liberty, which is defined in part of the Mental Capacity Act 2005, is there to ensure that there are checks and balances for a person placed in care, that decisions are made in their best interest and that an independent advocate can be appointed to speak on their behalf in these decision making processes. The government asked the Law Commission to review the legal framework that is called Deprivation of Liberty Safeguards (DoLs) which is put in place when a person who lacks capacity is placed in a care home. The Commission made recommendations to change the law, following public consultation. However, the government has not included all of the recommendations in their Bill. The new legislation has been worded carefully, and its effect will be to risk the removal of key human rights; it also ignores the entire concept of best interests and has put decision making power over people’s liberty and rights in the hands of organisations and their managers with a commercial interest in decisions and outcomes. Any statutory scheme which permits the state to deprive someone of their liberty for the purpose of providing care and treatment must be comprehensible, with robust safeguards to ensure that human rights are observed. However, the proposed Bill has been widely criticised because it contains insufficient safeguards and is not fit for purpose in its current form. It requires serious reconsideration and extensive revision. The Law Society has issued a rather damning briefing on the Mental Capacity (Amendment) Bill 2018 that moved to a Lords committee stage in early September. “Right now the government is pushing a new law through Parliament that will make it easier to deprive someone of their liberty if they are judged unable to make decisions for themselves. It could mean people are forced to live in care homes because it’s cheaper and easier for the local council even though it’s not what they want or need. Inclusion go on to say: “We recognise the existing system needs to change, but not in the way proposed by the Bill. We are very much concerned that the bill weakens the existing safeguards that people have and does nothing to ensure support and care is provided in a way that promotes and maximises Disabled people’s liberty. In fact the Bill will make it easier to deprive Disabled people of their liberty. We are also concerned that there has been very little consultation with Disabled people who will be affected by the Bill. “We are working together with People First Self Advocacy, other Deaf and Disabled People’s (DDPOs) Organisations, lawyers and academics to ensure the Bill is changed. “We want as many DDPOs and self-advocacy groups as possible to get involved in this work. Please let Inclusion London know if you are interested and we’ll keep you in the loop.